So many of you have expressed an interest in learning more about watercolor techniques – so Cynthia joined the Runaway gang as an instructor late last year. She’s a recent WOU graduate with a Bachelor of Fine Arts in illustration with water mediums. She continues to add to our watercolor curriculum with classes for beginners and for those interested in touching up their technique. 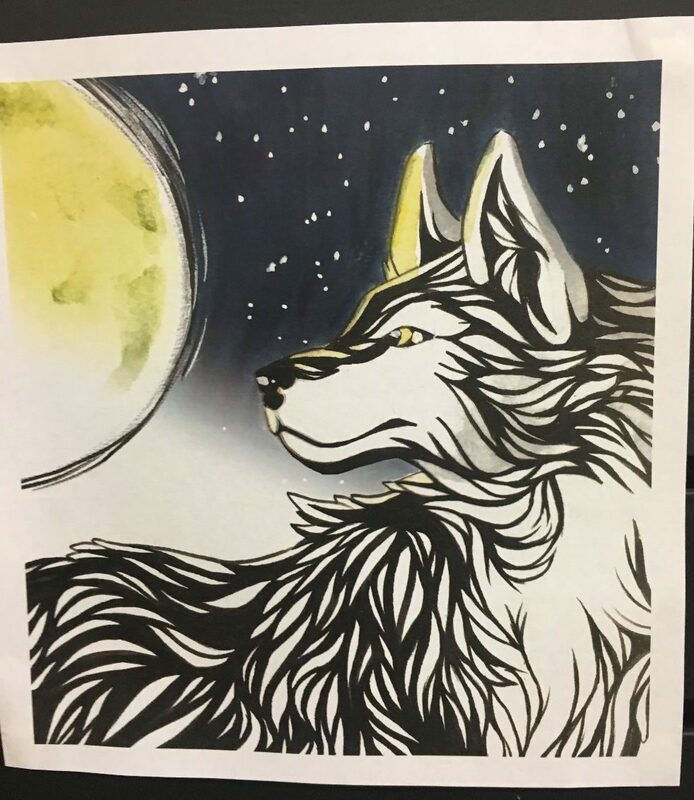 Wolf image is from a previous month’s class.